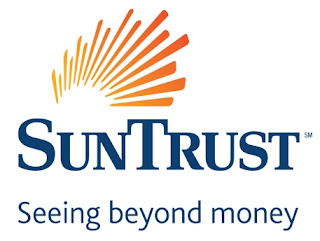 SunTrust Banks, Inc., with total assets of $171.8 billion on March 31, 2010, is one of the nation's largest and strongest financial services holding companies. Atlanta-based SunTrust enjoys leading positions in some of the most attractive markets in the United States and also serves clients in selected markets nationally. The Company’s mission is to help people and institutions prosper by providing financial services that meet the needs, exceed the expectations, and enhance the lives of our clients, communities, colleagues, and ultimately our shareholders. SunTrust’s 1,678 retail branches and 2,828 ATMs are located primarily in Florida, Georgia, Maryland, North Carolina, South Carolina, Tennessee, Virginia, and the District of Columbia. In addition, SunTrust provides clients with a full selection of technology-based banking channels including online, 24-hour customer services centers, and the latest mobile devices. SunTrust’s Internet address is www.suntrust.com. For all of your banking needs, call 800.SUNTRUST (800.786.8787) to speak with a SunTrust representative from 6 a.m. to midnight ET, 7 days a week. Never provide personal or account information responding to email or a Web site. If you think you might be a victim of credit card, check fraud, or of identity theft, call 800.227.3782 immediately. Our fraud hotline is always available. Manage your business's financial activity by speaking with a SunTrust Business Banking representative at 800.752.2515. 0 Response to "SunTrust Bank"